SoundTaste Audio Converter has the ability to convert many audio files with perfect output quality and high conversion speed. The multicore CPU process ensures you the efficient and stable conversion of multiple files. SoundTaste Audio Converter checks your CPU type automatically and makes full use of your CPU to bring you the super high conversion speed to save much precious time. 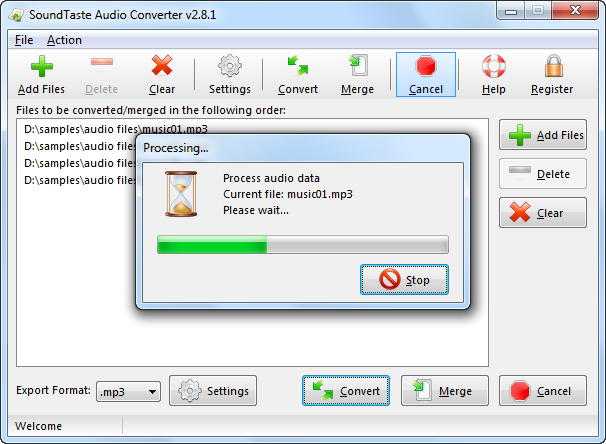 What’s more, the batch conversion was supported and you can use the batch mode to convert several audio files in one batch to reduce conversion time. It helps you convert dozens of files without waiting for each conversion to finish. Batch conversion is supported to save you much time. Multi-core processor is supported to give you amazing speed.